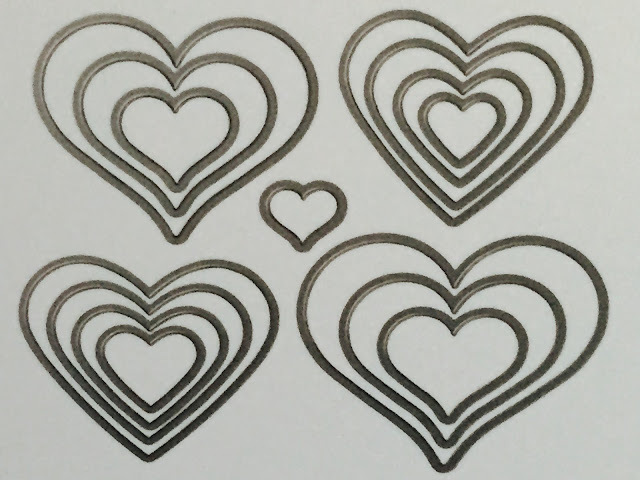 Sneak Peak of New Catalogue Product "Special Reason"
I am so excited to bring you a super sneak peak of a great new stamp set I've been lucky enough to get my hands on to play with. It's called Special Reason and I loved playing with it. It will be available from 4th January and I know your going to love this stamp set. 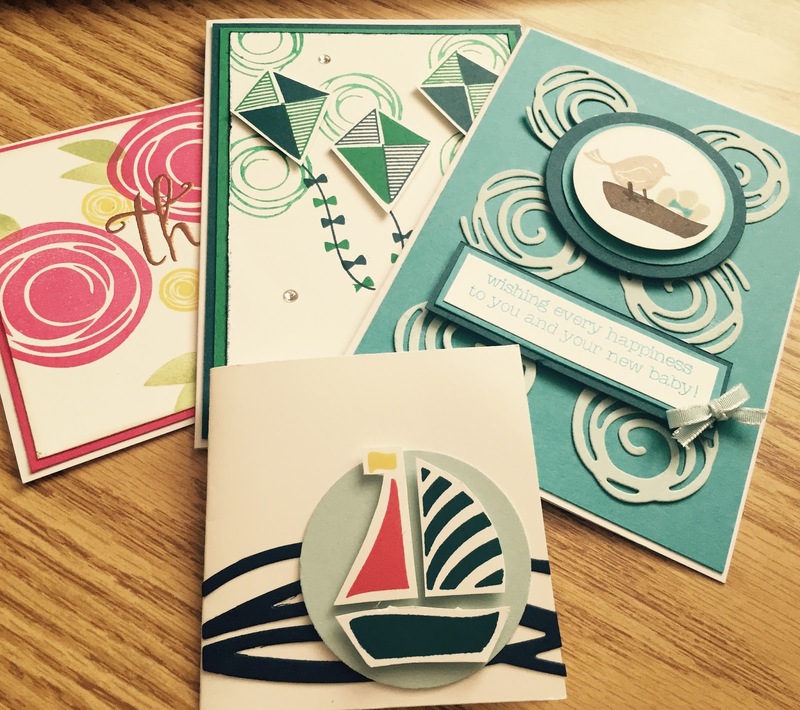 It is such a lovely set and comes in a bundle with matching dies or separately just the stamp set. The sentiments are so adorable. I loved this sentiment it's so apt for a lovely friend of mine who will be getting this card. The bundle number is 144720 in clear-mount or 144719 in wood, and the stamp set is 142899 in wood and 142902 in clear mount. So get your pens out and write it down so you can be ready to get it on the 4th January. If you would like to purchase them pop along to my online store at https://www2.stampinup.com/ECWeb/CategoryPage.aspx?categoryid=50600&dbwsdemoid=5012366 and take a look. or click on the side bar this will take you to my online shop. I wanted to shout out and tell you all that today is the last day of the Stampin' Up! Online Extravaganza with lots of items discounted with amazing prices. I have included a few that I think you will love!! and this one I use all the time it's such a bonus to have it when you have any die cutting to do, everything stays in place beautifully. These punches are super value don't we all love a punch. 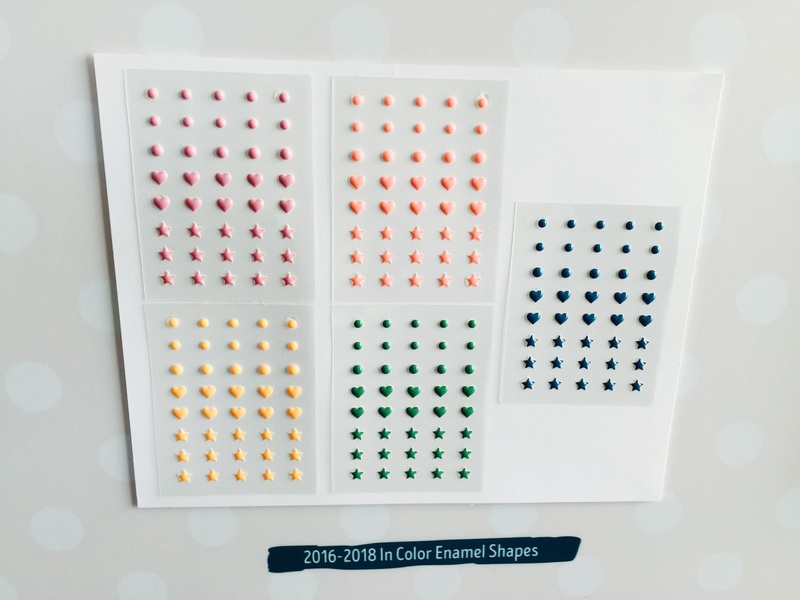 The confetti punch is super cool when you want to make a shaker card as the little hearts look so adorable behind a window, just perfect and you get loads cut all at the same time. The one below is super cute and great value. This one I'm going to be using in my next card making class so pop back soon to see how we got on. I think it's a great time to make a purchase with these great discounts and offers and when you use my online shop code I send out a gift and card. My monthly code is QK7G69UM. Take a trip to my shop by using the side bar tabs. I held a super Stamp a Stack card making class last week, where we made 10 cards using some of Stampin' Up! fabulous card making supplies. I love the way everything coordinates and now with cardstock packs such as Warmth & Cheer 12" x 12" item number 141992 making life so much easier there's no excuse not to make lots of your very own handmade cards. The pack gives you 10 sheets of 2 colours (Cherry Cobbler and Garden Green) so you don't have to buy two whole packs of card stock, and you can get 6 card fronts out of each piece of paper..
We made 10 of the above cards which had a layer of Whisper White item number 106549 measuring 14.9 x 21 and scored at 10.5 and then folded as the base for the card then a layer of Cherry Cobbler measuring 14.5 x 10.2 then a layer of Garden Green measuring 14 x 9.7 then finally a layer of Whisper White item 106549 measuring 13.5 x 9.4 which you emboss using an embossing folder. I used a stripe of Cherry Cobbler with a piece of Whisper White on top which I stamped with a sentiment. I then took a piece of Copper Foil and embossed it with the Cable Knit Embossing folder item number 143537 then cut a Holly Leaf and Berry using the Holly Berry Builder Punch item number 141843 and placed that on top of the Whisper White card stock. They went together super quick which left lots of time to just enjoy the crafting, chat and have tea and cake. These are the ladies enjoying there crafting with a well earned cup of tea. 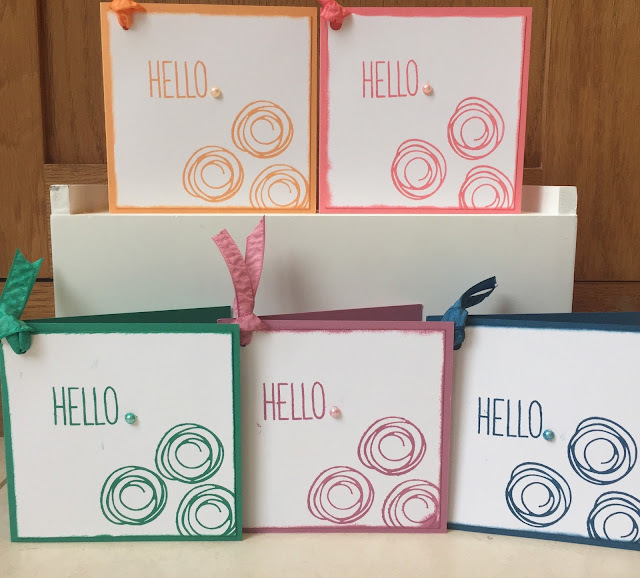 We always have a fun evening at the class with everyone going home with a lovely finished project or bundle of cards to send out to friends and family. I also made these supper little treats using the new Stitched Shapes Framelits Dies item number 145372 as a treat to take home and enjoy. If you would like to make any of the items show you can go onto my online shop and place an order which will be delivered straight to you door in 3-4 days. Please use my hostess code which is QK7G69UM and I will send out a handmade card and gift. Thanks for taking the time to look at my blog and I hope you have a great day. I held a great card making class recently using the Wrapped with Warmth (item 142054) and Tin of Tags (item 142180) stamp sets from Stampin' Up! We had such fun making 4 different cards using these sets. Everyone really loved the stamp sets and the lovely sentiments that come in them. 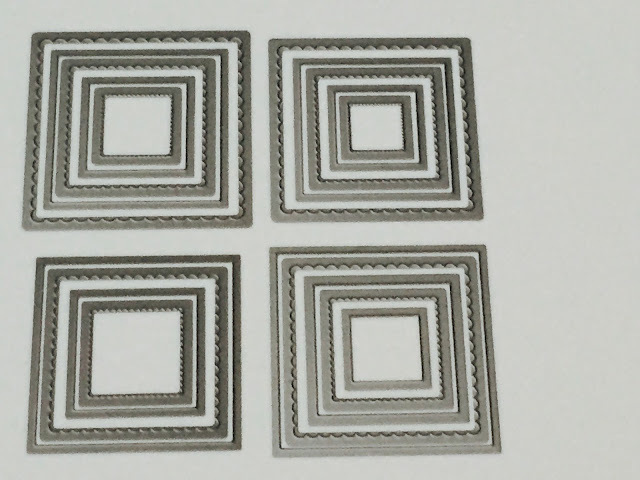 We also used the lovely Cable Knit Dynamic Textured Impressions Embossing Folder (item 143537) which is super cute and gives deep dimensional embossed impressions to your cards. Above is the first card we made and it was a super easy and quick to make, we started off by layering Cherry Cobbler and Garden Green on a white base and then used Very Vanilla embossed with the super cute Cable Knit embossing folder (item 143537). We then stamped a sentiment using the Wrapped in Warmth stamp set on to a tag cut out using the Scalloped Tag Topper punch (item 133324) on the front. We made a cute little holly leaf and berries using the Holly Berry Builder Punch (item 141843) and placed them on the bottom of the tag and the card was finished. I think it looks super cute and anybody would love to receive it and it was super quick to make, with only a few items. The second card we made also used the lovely Cable Knit Embossing folder and this time we added a strip of the gorgeous Copper Foil Sheets (item 142020) on to the from across the card to give it a wow factor. The little tree is from the Wrapped in Warmth Stamp set isn't is cute and I place a Mini Jingle Bell (item 142002) on top of the tree plus the sentiment on the bottom of the card. I love the 3rd card we made it's so simple but elegant and that silver tassel is so pretty. We used the snow flake stamp from the Tin of Tags stamp set and we stamped using Pool Party and Smokey Slate ink. The layers on the card are also Pool Party and Smokey Slate, and the final layer we stamp on was Whisper White. The tag is from the catalogue item number 142024 and they come in Silver and Black and you get 6 of each they are so adorable. The last card we made was so quick and highlight the fact that all you need sometimes is a lovely piece of paper from the Warmth and Cheer Dsp paper stack and a sentiment.stamp. This sentiment is from the Stitched with Cheer Stamp set from when I held my stitched with cheer card making class. All the ladies made there own envelope to. 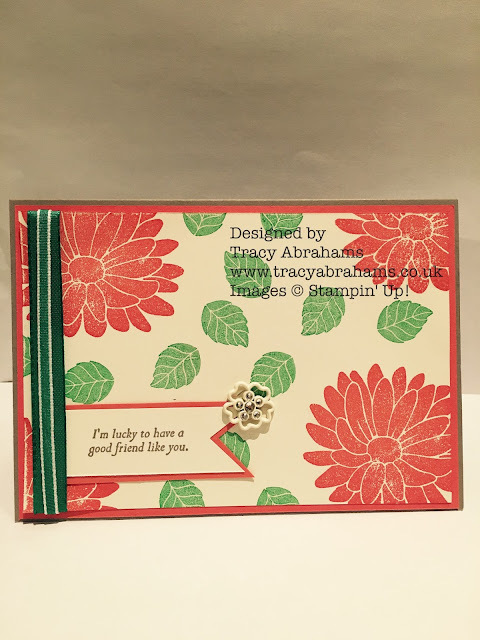 I hope you enjoyed see what the ladies made at our last card making class, and if you would like to make any of these cards pop along to my online shop today by using the side bar or going to www.tracyabrahams.stampinup.net and pick up some of these lovely products. I also send out a Stampin' Up! gift and hand made card to anyone using my shop and and using my monthly hostess code which is BENQW2NX. Have a great day and pop back soon. 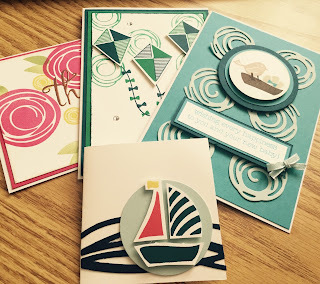 I held my monthly card making class using the really lovely Stitched with Cheer Project kit (142012) by Stampin' Up! recently. It's such a great kit and you get to make 18 super cards for the price of just £21.75. You get everything you need to make the cards in the kit including envelops, embellishments, banners gold tread, and gold and white threads. Plus two needle and a needle thread-er to stitch around the elements on the cards with. The envelopes have beautiful liners so they match the cards. You get 6 cards of 3 different designs to make and they are all really super cards. The Stitched with Cheer Stamp set (142182) co-ordinates with the project kit. Plus it has loads of great extra sentiments to use on cards and tags. As you can see all the ladies where super excited with their kits and got started right away!! The kits took about 3 hours to make but we had lots of tea and cake to keep us refreshed during the evening. If you would like to get your own kit, you can by clicking on the side bar and going to my online shop. It's a super kit and I don't think you will be disappointed with the cards they are beautiful and so much fun to make. It's a really great kit and suitable for everyone with full instructions. You could even give it to someone as a present. If you do make a purchase please use my hostess code BENQW2NX and I will send you a super thank you card plus a free gift. Take care and come back soon to see what I've been up to. I have fallen in love with the new Christmas Catalogue and the great Candy Cane Lane Dsp from Stampin' Up! It's such a fun stack of 12 x12 papers and you get 12 sheets 2 of each design. Each piece is super cute and you only need such a small piece to make some fun Christmas cards. I made these super cards to send out from the designer series paper. I used some lovely Cherry Cobbler and Garden Green card stock as the back ground, and just fussy cut out the cute little gingerbread man, gloves and Christmas trees from the paper, and I still have load of the sheet left. I found another of the sheets and used a little strip of it across the card as you can see above. The papers are so cute all of them. The sentiments on the cards comes from the Tin of Tags Stamp set. This set is not only ideal for tags but I think it looks great on these cards. 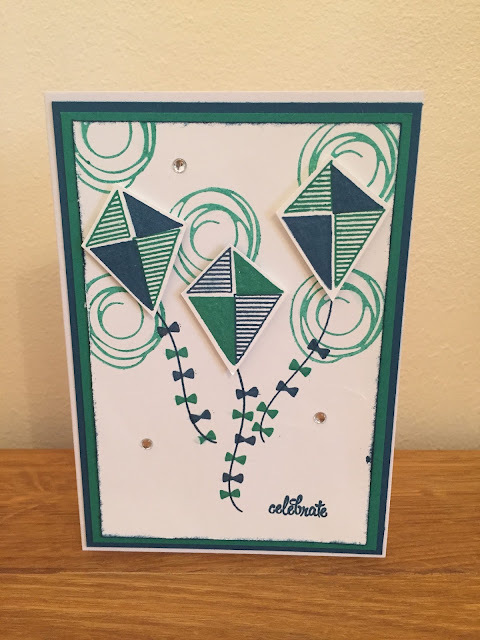 I made another lovely cards using the the dsp and this time I used the Cable Knit Dynamic Textured Impressions Embossing Folder. The embossing folder gives a 3d effect. I used it on some Very Vanilla Card Stock as the back ground. It's such a fab embossing folder and it gives such a lovely feel to the paper. I added a little of the Real Red Stitched Edge Ribbon to give it a wow factor. Also check out the clearance rack on my side bar to the right of this as it has just been updated with lots of 60% off products that will disappear fast. I love to get feed back so please feel free to send me a comment. If you do make a purchase be sure to use my hostess code H7XA39ZJ. All the hostess pounds get collected and I share them out at the end of the month meaning you get a surprise of a lovely free gift and hand made card from me at. Thanks for taking the time to visit my blog. Wow the new Autumn-Winter Catalogue from Stampin' Up! is crammed full of goodies!!! I have just flicked through it and already I can't wait to get my hands on all of it!! Click on the picture above and take a look at the catalogue online. The products as usual are super stylish and bang on trend. There are Stamp Sets, Bundles at 10% off, gorgeous Designer Series Papers, Ribbons, embellishments and loads loads more. This Bundle comes with a 10% off discount if you click on the picture above it will take you straight to my online 24/7 shop to take a look. Click on the picture to take a look online. Click above to take a look online at this fab Kit and the great video that goes with it to help you. I hope you have enjoyed looking at a small section of the lovely products in the new catalogue. If you would like a copy of the catalogue please email me and I will post you a copy out free. tamaraabrahams@hotmail.com or call me for your copy 07949242830. If you do make a purchase please use my hostess code to earn yourself FREE products. This is the code TVHC2JWR I also send out a lovely handmade card every time you purchase and little samples of papers and ribbon etc. Sweet Cupcakes From Stampin' Up! I've been busy making some birthday cards and thank you cards over the last week, using the lovely Sweet Cupcake stamp set and Framelits Die. It comes in a bundle and they coordinates beautifully. There's always birthdays in my family and everyone loves receiving one of my handmade card and I love using a new stamp set. I hadn't used the Sweet Cupcakes stamp set before and I love the fact it comes with great matching Framelits which helps you cut out the cupcakes easily, and includes these lovely words and 10 fabulous die cuts. So there's no need to fussy cut anything. 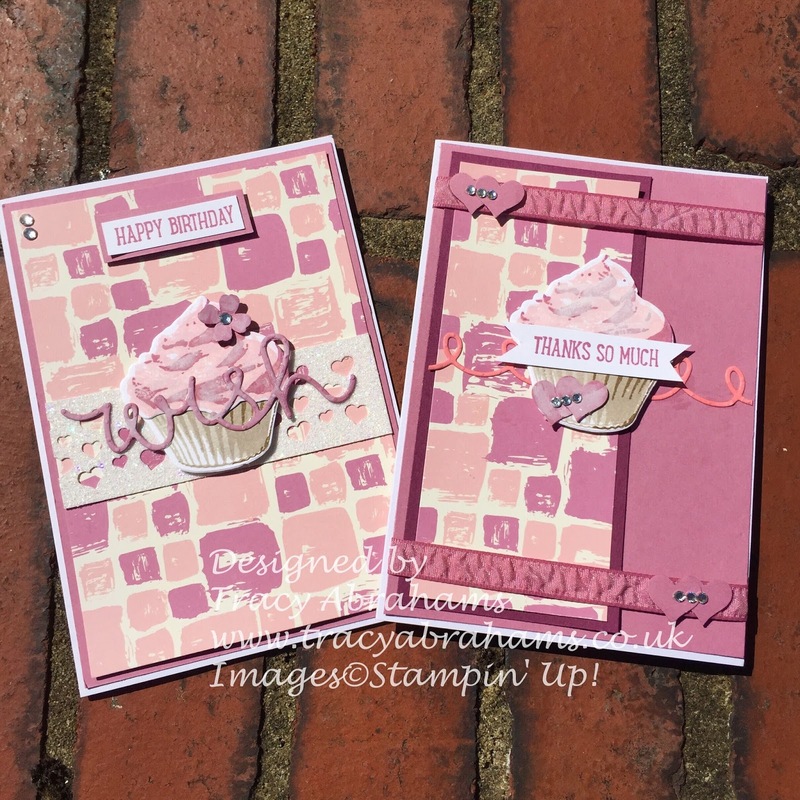 The Sweet Cupcake stamp set is a three step stamping stamp where you use different colours to add different layers and definition to the same stamped image. I used Pink Pirouette, Blushing Bride and Flirty Flamingo for the cake section of the cupcake and Sahara Sand, Crumb Cake and Soft Suede for the base of the cupcake. I started off with the lightest colour and built up the colour finishing with the darkest one. 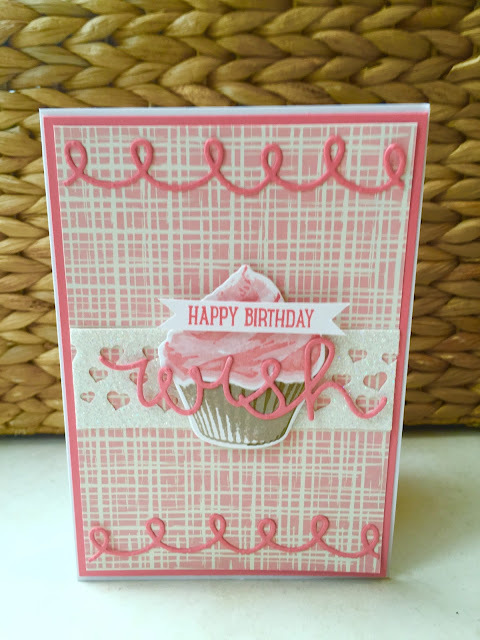 I used the lovely Playful Palette Designer Series Paper Stack as a back ground and Flirty Flamingo on the base of the card. The cute sentiments are from the same stamp set, and they are so lovely. I punched some hearts out of a piece of Dazzling Diamond Glimmer Paper using the Confetti Hearts Border Punch and added it behind the cupcake on the birthday card to give it a wow factor, I think it looks great. I made a couple of other cards using the same stamp set but this time I swapped the Flirty Flamingo for Sweet Sugarplum ink and paper and swapped the dsp for another of the lovely sheets in the paper stack. You get 48 sheets of 6 x 6 paper so there's lots to choose from. I also added some of the lovely Sweet Sugarplum co-ordinating ribbon on the thank you card. Which colours do you like the best? I hope you have a lovely weekend and if you do place an order using my online shop please use my Rewards Hostess code TVHC2JWR and I will send you out a Free Gift and thank you card. Baby Bear Stamp Set From Stampin' Up! I held a super card making class this week using the lovely Baby Bear Stamp Set from Stampin' Up! 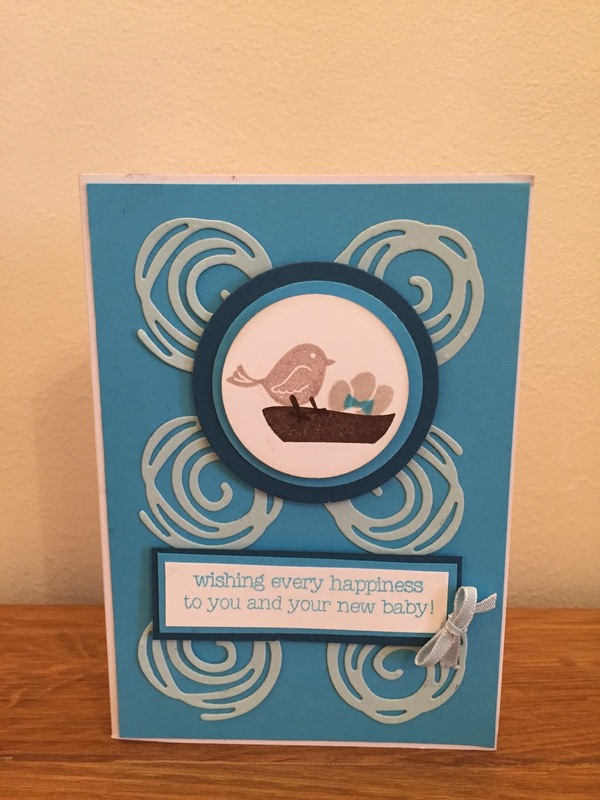 We made 3 lovely cards all for a new baby as you can see below, plus a present tag for a baby girl. We made three different card shapes as you can see the first card had a different fold that folded back on its self. and we used the Neutrals DSP and soft sky and pool party ink. The next one was a 6 x 6 and we used Sahara Sand, Crumb Cake and Soft Suede ink and the lovely Flirity Flamingo Ink and Ribbon so cute I think and some Neutral DSP. Everyone as usual had such a fun evening and come away with three beautiful cards. If you would like to buy the Baby Bear Stamp set or any of the inks or card stock used for making these cards you can click on my side bar and take a look at the online store. My shop is open 24/7. I always send out a thank you card for people who have bought using my online store and if you use my hostess code HGBHPRSV I will send you out a free gift as well. If you would like me to place an order for you please get in touch on 07949242830 or by email at tamaraabrahams@hotmail.com. Swirly Bird Stamp Set From Stampin' Up! Last night I held a fab card making class using the super cute Swirly Bird Stamp Set and Swirly Scribbles Thinlits Dies. At the class we made 4 super cards using this great bundle. 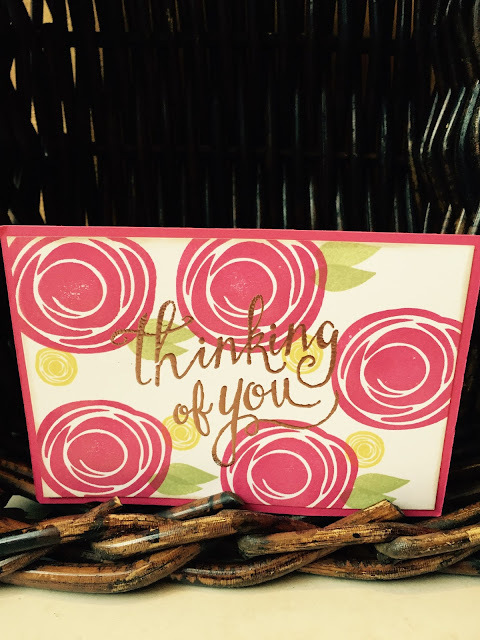 The card below was made using the stamp set and Melon Mambo, Daffodil Delight and Pear Pizzazz ink plus we used the new Copper Embossing Powder to stamp on the card with the super cool Hostess set Time of Year the words Thinking of You. 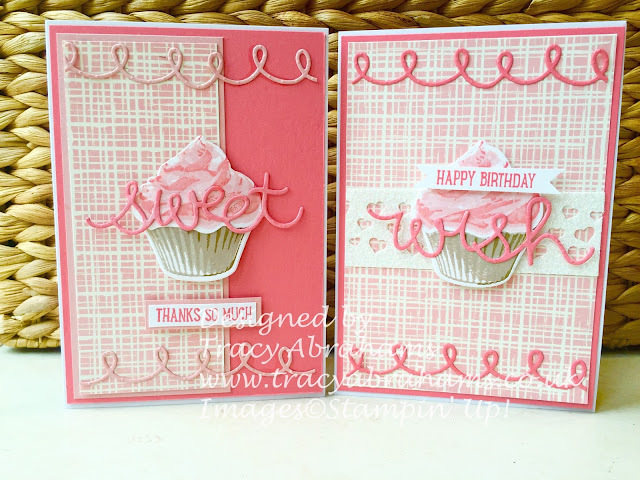 I love the new embossing powder and it makes such a lovely element to the card and give it a real wow factor. This card uses the new in-colours Dapper Denim and Emerald Envy paper and ink plus some of the new Metallic Enamel Shapes. This card below was made using the Swirly Scribbles Thinlits Dies which come in the Swirly Bird Bundle are so cute and really easy to use. We made this card using Tempting Turquoise card stock and ink. I love the little bird in the stamp set and it was perfect to make this new baby boy card, the sentiment comes from another lovely Stampin' Up! stamp set called Made with Love and it suited this card perfectly. 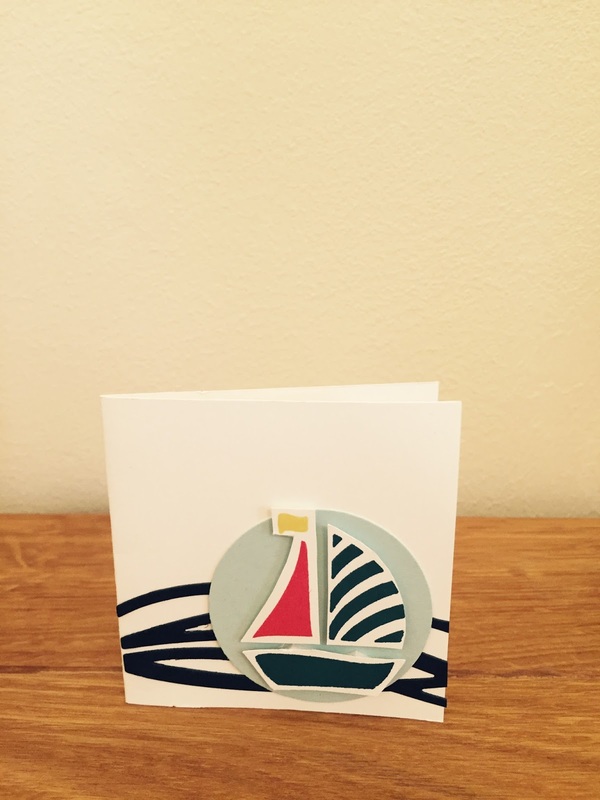 This was the last card we made also using the stamp set and thinlits dies, we used the thinlits dies to make the waves so cute I think. The boat was made with the the stamp set also. 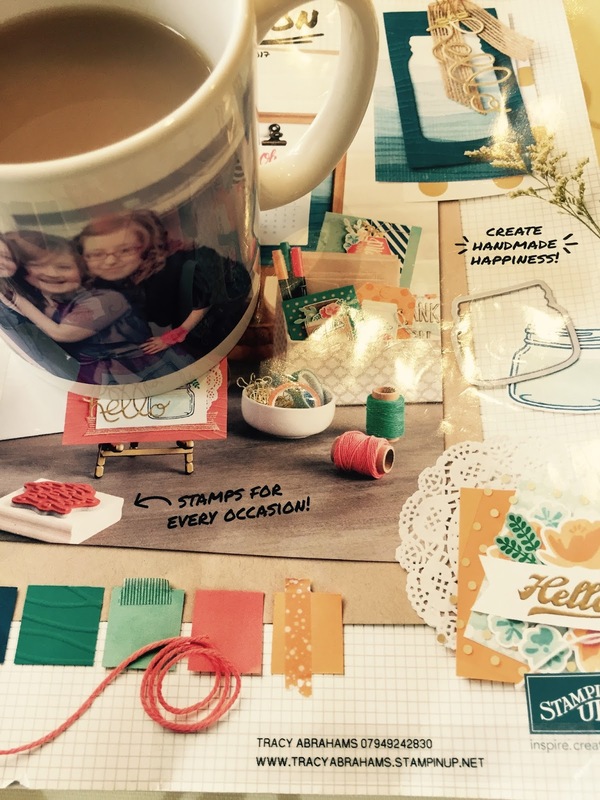 I think this stamp set and thinlits are very versatile and i will defiantly be using them again, the bonus is it comes with a BUNDLE AND SAVE 10% discount. 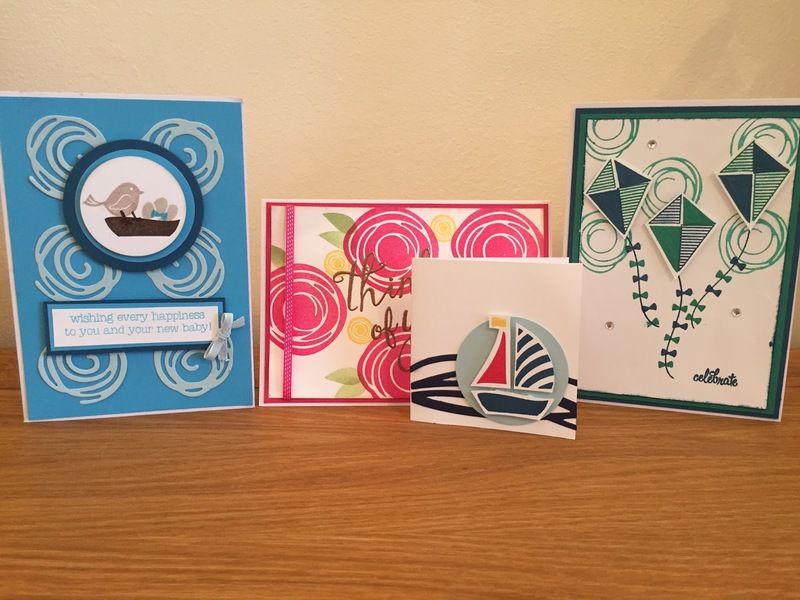 the item no is 142353 page 152 of the main catalogue and you can order it today and make some great cards with it. All the products I have used are available through my online shop 24/7 and if you do make a purchase using my online shop and use my monthly hostess code HGBHPRSV I will send you out a thank you card and a free gift at the end of the month. If you would like me to help you order anything please contact me on 07949242830 and I'd be happy to help. It's Finally Here Stampin' Up! Catalogue 2016 is Live!! The Stampin' Up! catalogue is now live and I'm so excited we can all now enjoy the fabulous new products on offer. There's new punches, stamp sets, Framelits and Thinlits and so many more lovely things. All the in-colours are gorgeous and I love everyone of them. 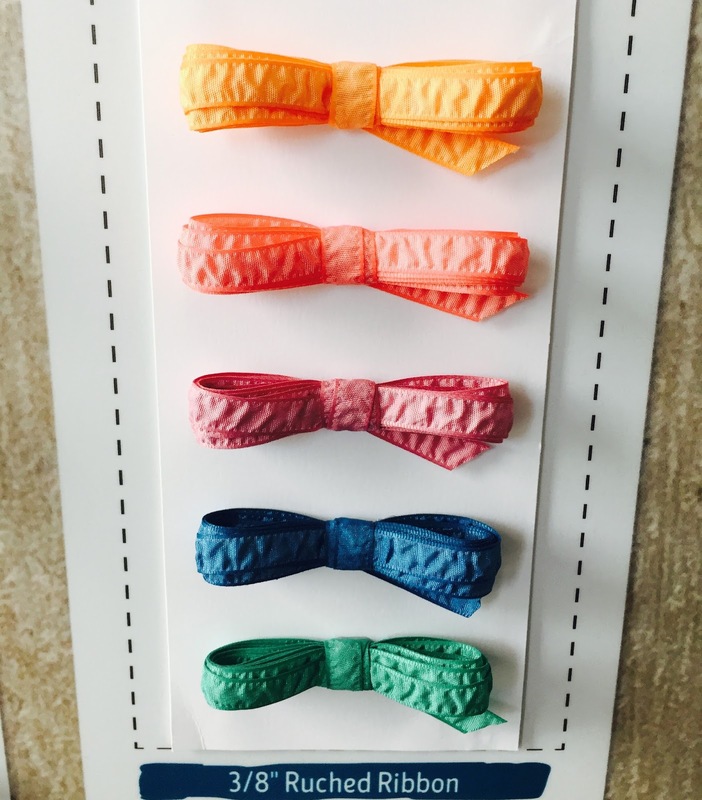 I love that all the colours co-ordinate, you have not only paper and inks in every in-colour but ribbon to in the in-colours. 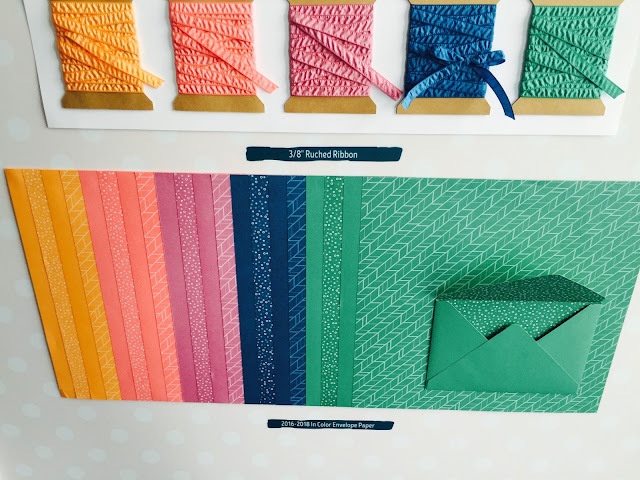 So all your projects and cards will match beautifully. There's some great Dsp papers that match the in-colours and ribbons!! I'm off to read my new catalogue with a cup of tea. If you would like to take a further look at the catalogue click the link on the side bar and enjoy the catalogue. If you want any help let me know. If you want like to make a purchase click the link and it takes you to my online shop .....I'm sure your going to have great fun exploring this catalogue . Labels: Catalogue, DIes, Framelits, in-colours 2016-18, stampin' up! 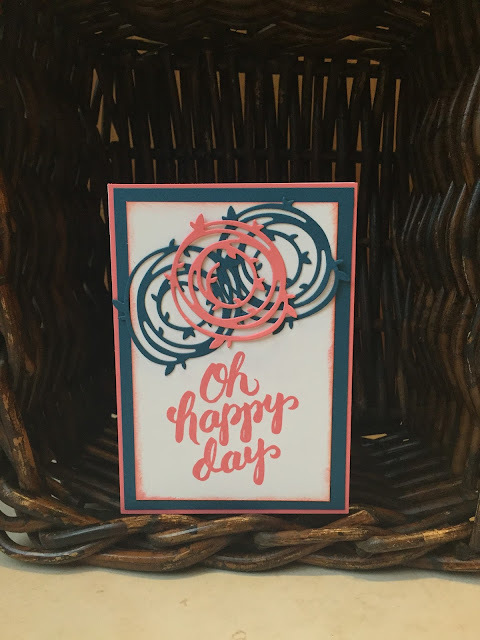 Ohh I've had so much fun the last couple of days playing with the new Stampin' Up! in-colours and the brand new super cute Swirly Bird Bundle, which is available from 1st June. All these yummy products go live on the Stampin' Up! website tomorrow yay!! I know your going to love playing with this stamp set and thinlits as it's so versatile. I love the way these easy to make cards come out. I made 5 in no time at all. I love the Swirly Scribbles Thinlits in this bundle as they cut beautifully on the Big Shot and pop out with no problem. I just couldn't put the set down and found myself making lots of lovely cards with the bundle here's another one I made don't the die cuts make this card look super cute. The sentiment is from Scenic Sayings and I think it's perfect for any occasion. The Swirly Bird Bundle & Save item 142353 comes with a 10% discount so it works out great value and is on page 152 of the new catalogue. I made the card by mat and layering the Flirty Flamingo at 14.9 x 10.5 and then placed the Dapper Denim cut at 14.5 x 10.2 on top, then I place some Whisper White on top of that cut at 14 x 9.7 and stamped on the Whisper White I distressed the edges using Flirty Flamingo and cut the dies cuts using my thinlits an hay presto I was done. If you would like a copy of the new Stampin' Up! catalogue just get in touch with me by email at tamaraabrahams@hotmail.com or phone on 07949242830. All content on this blog is the the property of Tracy Abrahams, Stampin' Up! Independent Demonstrator. Classes, services and products offered here are not endorsed by Stampin' Up! Projects, photos, ideas and articles are shared for personal use only and may not be removed duplicated, or copied without permission.